The beauty industry is extremely competitive. With so many different lines available on the market, (and lots of empty promises) it’s difficult to know which products will really help you look and feel your best. That’s why we screen the companies we work with and try the products ourselves before they make their way to the shelves of the Be Yourself Beauty store. You’ll find everything from hair care to skin and body products, make-up, and nail polishes. You can shop our online studio and call or email us to purchase these items at your convenience, or contact us for an appointment and we’ll work with you to find the right products for your specific needs. 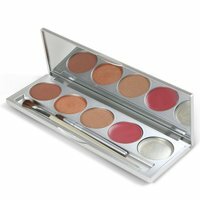 We offer individual pans, as well as multiple mirrored palette options that can be custom-filled with various shades of Eye Shadow, Blush and/or Powders. 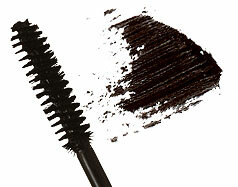 Motives® Eyebrow Gel goes on clear and keeps stray hairs in place while defining the eyebrow's arch. _The future of Liquid Eyeliner is here! This super-charged formula has three powers; Its waterproof, long-lasting, and lash enhancing. The vitamin-enriched formula will provide nutrition to the lash line to condition your lashes. These bold, intense colors will stay on all day and the attached brush will provide a precise line for fabulous application. With polyester fibers and proteins that condition and strengthen, Motives Lash Longer can help you achieve longer, thicker, natural-looking eyelashes. This formula will not irritate eyes and is easily removed using Motives® Eye Makeup Remover or Motives Waterproof Eye Makeup Remover depending on which type of mascara is applied. Motives® Long & Luscious Mascara, with extended-wear coverage, adds thickness and depth to lashes, with fibers that adhere even to lashes, providing extra length and intensity. The included brush maximizes contact with each lash for a fuller effect. his run-proof mascara lengthens and thickens your lashes in one application. The conditioning formula will not irritate eyes and is easily removed using Motives® Waterproof Eye Makeup Remover. Motives® Tubular Mascara creates instant length and volume by coating each individual lash with a polymer-based “tube” of Mascara. This long-wearing formula is virtually smudge proof, and easily removable. Motives® Lip Primer establishes a good foundation for the application of Motives lip color products by filling in fine lines and grooves around the lips. Lip Primer also helps in eliminating lipstick feathering and keeping your lipstick in place. Hi-Color pigmentation and hydration. This lipstick formula will moisturize and protect. This richly pigmented color will stay truer, longer and is available in both matte and shimmer shades. Motives® Lip Pencils are soft, for easy application, yet firm enough to hold their line. Use to enhance or correct the natural contour of your lip. Motives® Waterproof Automatic Lip Pencils, available in 4 shades, keep lipstick from bleeding out and provide long-lasting wear. A swivel-up stick requires no sharpening. Motives® Long Wearing Lips, available in five shades, deliver luxurious long-wearing lip color that never quits. The Motives Long Wearing Lips sponge-tip applicator provides a stain-free color that glides on smoothly to offer a beautiful, satin finish. 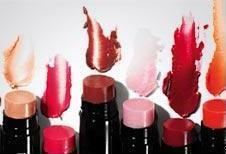 Motives® Lip Shine gives your lips a smooth, lustrous, high-polished finish. Formulated with a delicious hint of sweet vanilla, it adds an ultra glossy shine that enhances virtually any skin tone. Motives Lip Shine is packaged in a sleek, square, portable tube with a slanted lip wand, for a smooth, no-fuss application. Motives® Exfoliating Lip Treatment reduces the appearance of fine lines on and around the lips, dissolving the dead skin that causes chapped lips. Motives® Lip Plumper is a revolutionary plump-enhancing lip treatment that uses advanced technology to help make your lips look fuller in minutes. The exclusive formula visibly reduces the appearance of fine lines and wrinkles, which gives you the luscious full-lip look you have always wanted. The unique, greaseless, feather-light lip liquid instantly smoothes the texture of lips while enhancing their natural contours. Mature lips appear younger and thin lips appear more full. The clear color is best when smoothed on after Motives Lip Primer; the sheer tints can be worn alone or over your favorite lipcolor. 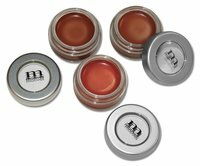 Motives® Lip Gloss Pots deliver long-lasting color and a perfect finish to today's fashionable look. These glosses provide an ideal blend of natural ingredients to moisturize the lip area while protecting it from chapping, peeling, cracking and general irritation. NEW Tinted Lip Balm is a unique formula that comforts and moisturizes lips while providing a sheer tint of color. 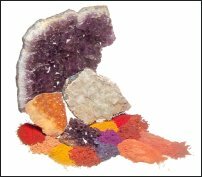 It offers deep moisturization and sheer color that lasts longer than most. Contains organic beeswax, vitamins and emollients. Glides on easily, feels luxurious, coats and restores a glamorous luster to dry or chapped lips. Slick over bare lips for transparent color and shine. This stick balm offers mess-free application. 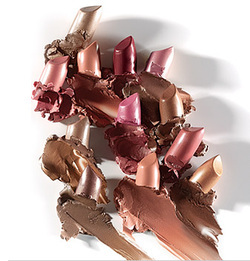 6 beautiful shades that work for almost anyone! Has Your Favorite Lipstick has been Discontinued? BeYourselfBeauty.com can match the color and formula. We feature Customized lipsticks made exclusively for you! Luxurious lipstick in the shade of your choice-once a dream is now a reality. We can match virtually any color. Send us a sample of a discontinued shade, a swatch of fabric, nail polish or any other color sample you desire. Makes a great gift (for yourself or someone else) and is great for coordinating makeup at weddings or other special events. Once your lipstick has been created, the formula is kept on file for your convenience so you can reorder your favorites anytime. Finally the color you have been searching for and the quality you've always dreamed of! Your original tube, container or bottle (will be returned). Offering a revolutionary selection of foundations, powders and concealers, you can create the perfect canvas for flawless application. Custom Blend Foundation - 1 oz. Use Motives® Custom Blend Foundation to create a flawless, impeccable canvas. Whether your skin tone is uneven, ruddy or sallow, Motives® Custom Blend Foundation can be perfectly matched to your exact complexion.Finally, a Foundation Made Just For YOU!! This incredible foundation offers flawless, seamless, light-absorbent, light reflecting and light-refracting color that provides coverage but feels weightless, sheer and invisible. Featuring 13 shades that can be easily color matched, Fluid Silk was created using the most highly selective raw materials, including crystalline powders and gels with lucid bases and mixed polymers with the finest pigments. The end result is refined and transparent, with the ability to magnify and transmit intense color. Fluid Silk Foundation creates a "second skin" that lasts long and hydrates only where your skin needs it. As you apply Fluid Silk, you can create any effect or coverage by layering the product with your Motives Foundation Brush. Motives® Fluid Silk is available in 13 shades, with numbers corresponding to the depth of each hue (No. 2 is the lightest; No. 13 the darkest). This is high-end, top-of-the-line opulence, and every woman should experience Fluid Silk on her skin. Innovative in form and function, BYB Foundation Sticks are specially formulated to provide a natural-looking coverage and a long-lasting finish. These foundation sticks are noncomedogenic and include sunscreen to help protect skin from harmful sun rays. Motives® is pleased to introduce a unique pressed powder developed to provide shine control without adding color or heaviness. The silica and mica in his revolutionary powder absorb excess oil and shine, letting your skin look perfectly balanced throughout the day. Apply it in the morning and touch it up periodically. For those with oily skin, this powder will trick your skin into maintaining a perfect balance. It feels comfortable and not heavy, and it can be used on any skin tone, because it contains no pigment. Use it with Motives Fluid Silk Foundation for best results. light dusting of Motives® Pressed Face Powder to combat shine and achieve a velvety-smooth, flawless finish. It can be used to hide makeup blunders and increase the longevity of your foundation. Motives® new four-shade range of concealer pots camouflages imperfections to provide the perfect canvas for your Motives foundation. We heard your requests to develop a concealer that isn't too drying, too greasy, doesn't fill in lines around the eyes, applies easily and offers beautiful natural colors that blend into the skin. We have found the concealer and more. The natural yellow-based colors are impeccable at covering dark circles under the eyes and any other discolorations on the face. We also are introducing a Special Coverage concealer for extra coverage. This new concealer is slightly moist and has a lot of slip. It is an incredible cover-all without looking too obvious and chalky on the skin. 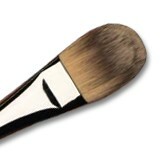 All should be applied with your Concealer Brush. Motives® Custom Concealer Palette contains mint, amber and three light, medium and dark skin-tone shades for corrective custom blending. Shades hide dark circles and imperfections. BYB Custom Blend Liquid Concealer is the same consistency as your Motives® foundation, but is blended one shade lighter to conceal under the eye area. Perfect if you like a lighter feeling concealer that compliments your foundation. The perfect alternative to foundation for a more casual look and sheer coverage. This custom-blended tinted moisturizer can be requested "with" or "without" sun protection, and blends smoothly over skin while moisturizing and providing lightweight, comfortable, sheer coverage. For all skin types. A variety of products that can brighten up the skin, contour the face, high-light cheekbones and provide a radiant, youthful glow. 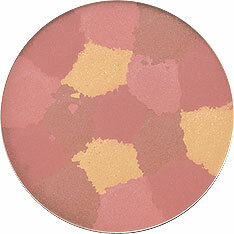 Motives® Loose Mineral Blushes are creamy and luxurious. The coverage is flawless and creates a youthful appearance by minimizing the look of fine lines and wrinkles. Its light-reflecting quality illuminates the complexion for a smoother, softer and more radiant skin tone. Motives mineral blushes allow your natural beauty to shine through. Available in four luxurious shades that reflect the textures of the most elegant and lavish fabrics. 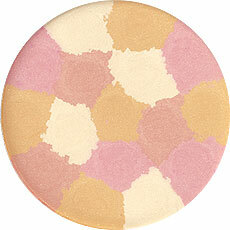 Use emollient-enriched Motives® Pressed Blush to bring radiance and glow to your face. 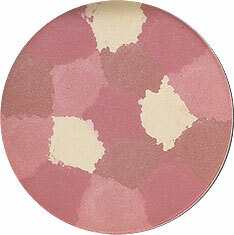 Pressed Blush works with all skin types and provides intense color with a luxurious, silky feel. Motives® Color Swirls are satiny-smooth powders that enhance the natural features of the face when brushed along the cheekbones, forehead, chin and the bridge of the nose. 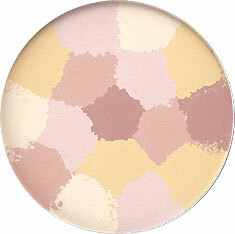 Swirls of brilliant color provide an instant glow and can be used as a blush or as a face or all-over body powder. These silky powders offer the best variety of shades that blend together for bronzing, highlighting, and evening out skin tones. With holographic pigments, these powders diffuse light for a soft and youthful glow! Motives® Chubby Stick is an all-in-one, multipurpose cream make-up stick. It's portable and convenient. It highlights, sculpts and warms eyes, cheeks and lips. Fingertip application creates the illusion of a blissful flush to your complexion. De-aging Crème is a highly concentrated, intensive skin brightening and age-controlling, anti-wrinkle formula. De-Aging Crème has an exclusive patent pending formula of powerful skin brighteners and wrinkle fighting PromatryxTM and HydranoxTM complex derived from all natural ingredients. A multifunctional (multi-dimensional) approach to the intensive skin brightening and anti-aging therapy. The cream contains technologically advanced and patented ingredients to address facial lines, wrinkles, uneven complexion, skin tone and dryness. A luxurious cream created to address multiple skin conditions. Exclusive complex that effectively reduces the appearance of facial wrinkles, accelerates rhythmic skin cell turnover and brightens skin tone for a more youthful complexion. Re-birth Serum is an advanced breakthrough in cosmeceuticals that supplements the body’s natural growth hormone production as it diminishes with aging. Re-Birth Serum contains the world’s first patent pending synthetic growth hormone to help effectively reverse skin aging. Encapsulated in nano-sized liposomes for deeper epidermal penetration, Re-Birth Serum effectively promotes cellular vitality and reduces the appearance of lines and wrinkles. It features Clairsome P-9–the world’s first cosmetic grade bioactive synthetic growth hormone-like material that supplements the growth hormones naturally produced in the body, replenishing the growth hormones lost due to age. It effectively reverses the aging process of the skin. ing your skin from damaging free radicals and the sun’s ultraviolet rays is an important part of your daily regimen. Motives Sunscreen is specifically formulated to provide SPF 30 protection and can be added to your Custom Blend Foundation. Ultra-smooth bristles for targeted highlighting or application of cream color to the cheek area or for placing eyebase or cream shadows on the lid.How to Use: Foundation goes on the smoothest and most even with a foundation brush instead of a sponge. (A sponge actually absorbs a lot of the makeup and can go on unevenly - you also waste a lot of makeup using a sponge because so much of it is absorbed). Pour a little of your foundation onto the back of your hand, and dip your brush into it, and apply starting around the nose area, blending outward. You may want to blend with your fingers as well to speed up the application. This economical sharpener is sturdy and efficient and results in the ideal point for precise, smooth application of regular sized lip and eye pencils. Easy to clean, re-usable and a must have tool for any makeup bag. 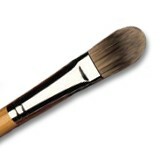 This rounded brush will evenly deposit color to the apples of your cheeks and is designed for basic application of blush to the cheek area in a few quick strokes.How to Use: Apply blush with a gentle sweep, starting at the apple/round of cheeks and moving up to hairline, and blend outward. Cheek color will look sheer, soft and natural. 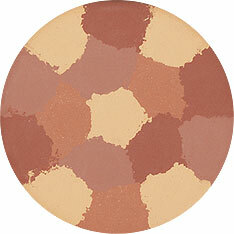 Allows for targeted, precise application, and works great with accent color. 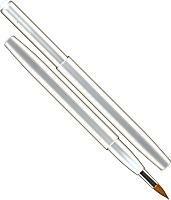 The rounded end can also be used to highlight under brow area.How to Use: Pick up medium-toned Eye Shadow with brush and gently tap off excess. Sweep over lower lid, from lashline to crease. 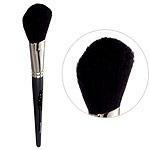 Defined and pointed natural hair brush for eye lining wet or dry color with a soft touch. Great for beginner makeup users, this precision pointed brush makes eyelining easy and exact.How to Use: Press brush tip into eyeshadow, then dab lightly into lashline. Continue lining for desired effect (thin or thick, straight or smudged). 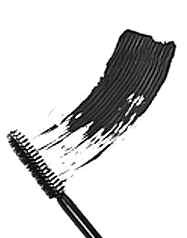 Firm angled brush head expertly shapes and defines natural-looking brows. 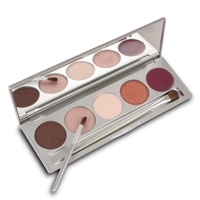 Use with medium-toned eye shadows. HOW TO USE: Pick up a small amount of the appropriate eye shadow color that coordinates with natural hair color. Tap off excess. Beginning at brow's inner corner, use light, feathery strokes and follow the natural arch to shape and define. Brush through brows with an upward, outward motion to blend and soften. Finding a Great cosmetic pencil sharpener can be difficult. Our cosmetic pencil sharpener is sturdy and efficient and results in less breakage than other sharpeners. Design and function, this Dual Metal Pencil Sharpener for lip and eye pencils, both regular and large-size, sharpens pencils without waste, for precise application. 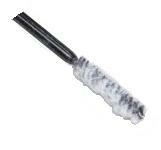 About the size of a quarter, the silver tool will barely take up room in any cosmetics bag. Heavy-duty metal will last for years to come, is easy to clean and a must have tool for all.